50 Sets Per Case. Socks are plain white. 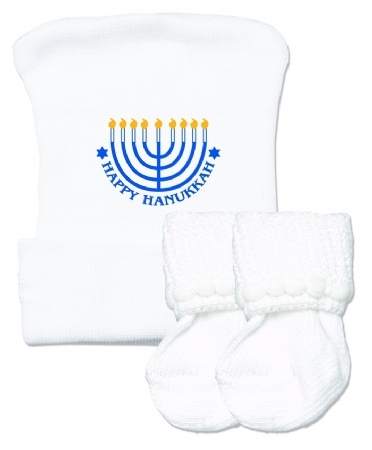 Our Happy Hanukkah Hospital Baby Hat & Sock Set makes a wonderful keepsake for the new parents in your nursery. 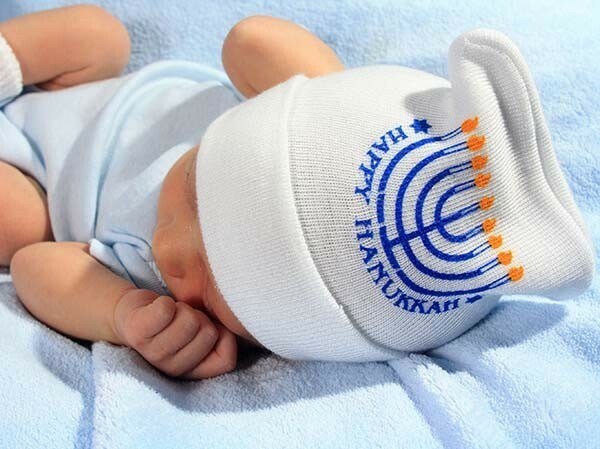 The deluxe baby hat is beautifully screen printed and provides babies with warmth and comfort. 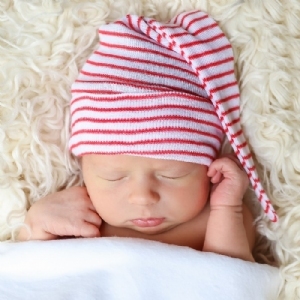 Our cotton knit newborn socks are plain white and perfect for keeping babies' feet warm. 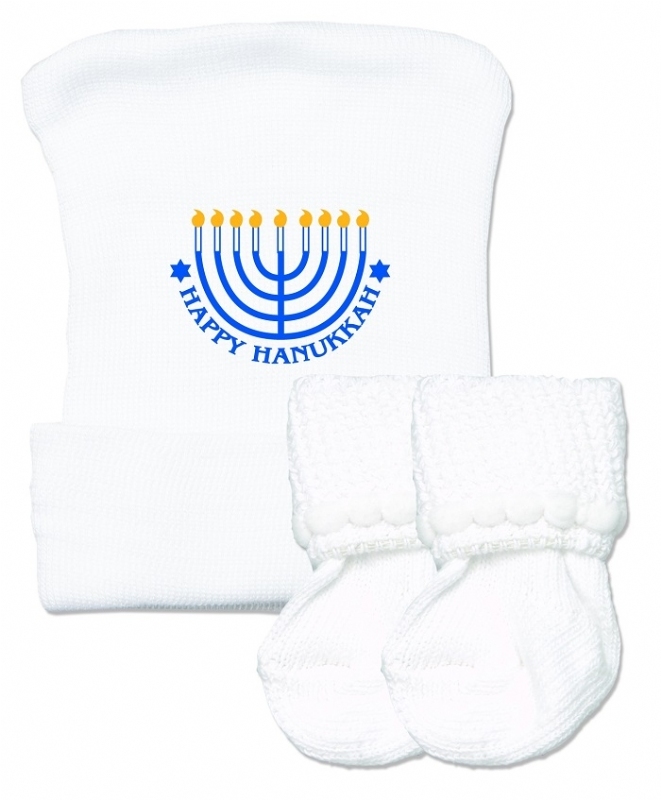 Together this set is a great addition to any Mother & Baby Kit during the holiday season! 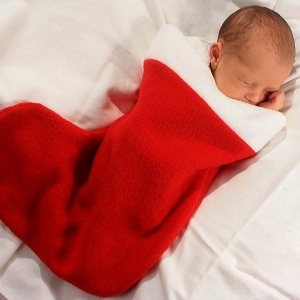 Makes a treasured keepsake new moms will love!